Falcon's High Fibre Light contains a blend of Alfalfa and soft oat straw to provide a high fibre diet, rich in natural anti-oxidants. 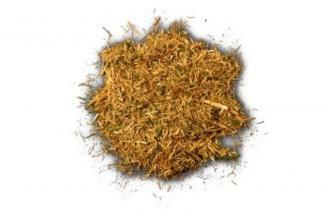 The fibres are chopped shorter making it easier to chew for older horses or horses that have problems with their teeth. The inclusion of Soya Oil within the chop is excellent to help promote an excellent skin and coat condition. High Fibre light is a molasses free diet, high in fibre and low protein. Sealed 15kg bag to fit easily in to your feed bin.